Make someone feel special with these stunning bold initial monogram earrings in sterling silver. 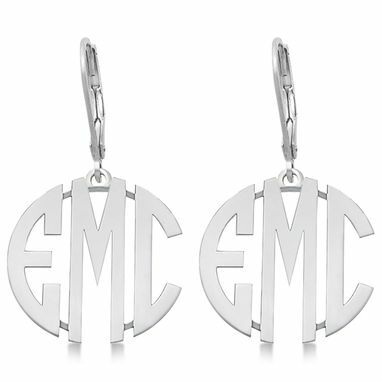 Your first, middle, and last name's initials will be sculpted in an elegant block letter font with a polished finish. All custom-made monogram pieces are non-refundable and require ten days build time before shipping.